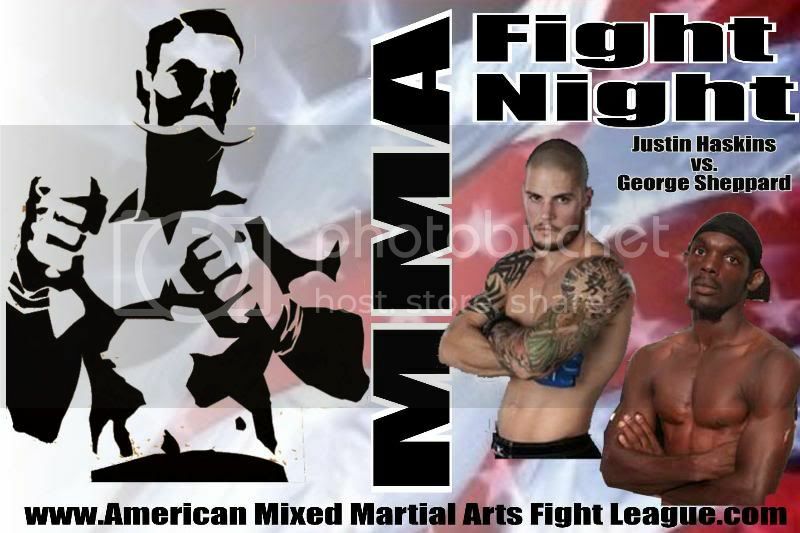 The American Mixed Martial Arts Fight League is back with its second MMA Fight Night show on June 4th in Newtown, PA. The first event was a big success, and the AMMAFL seems poised to do big things for MMA in Pennsylvania. Headlining this card will be two very explosive fighters, Justin Haskins and George "Lights Out" Sheppard. Both of these guys like to bang, and you can bet there will be fireworks at the Newtown Athletic Club on June 4. Tickets are available now, so check out AMMAFL's website to get in on all the action. Sister Sledge will be performing the National Anthem and there will be several VIP guests in the house. I am hosting the show from inside the cage, and I'm really excited to be a part of this great event. For PA residents, this is one show you do not want to miss! Check out some highlights from the first AMMAFL show after the jump. See you in Newtown!